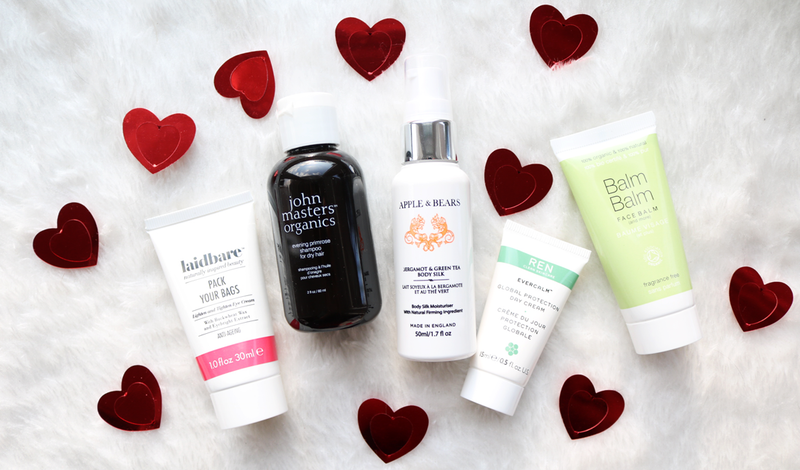 The second and final instalment of my Valentine's Day Gift Guide is here, and this part is dedicated to all the loved up green beauties out there who want to share their passion for natural and organic products. 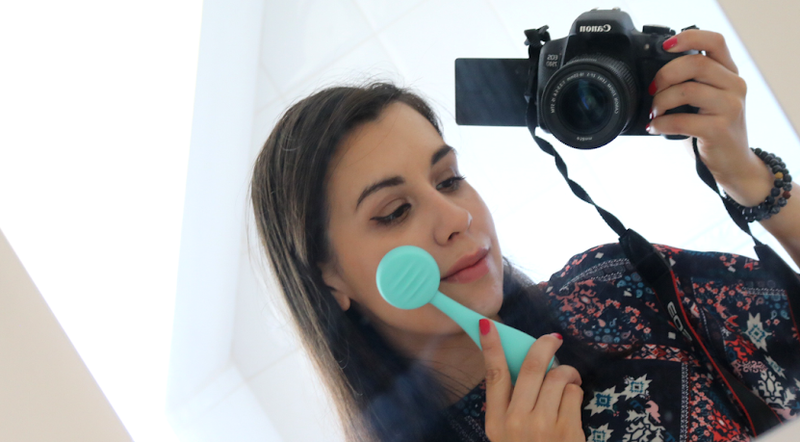 Here are my Green Beauty picks just for you! Looking for a chocolate themed gift with a difference? 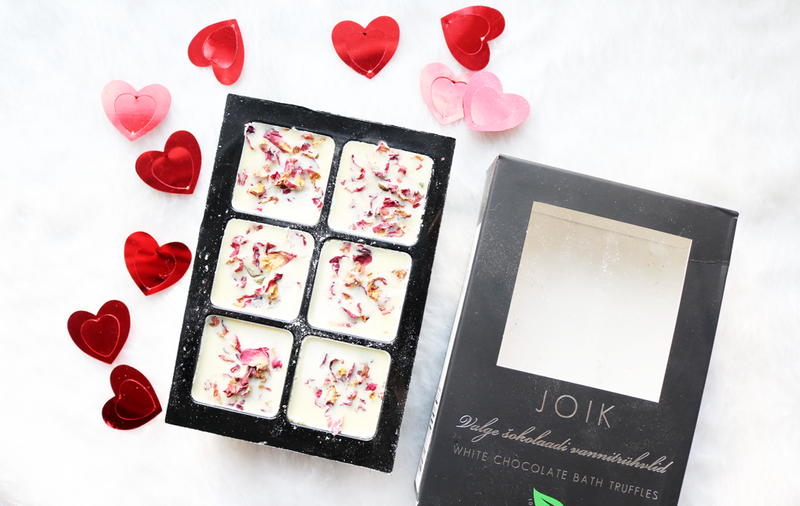 These luxury bath truffles from JOIK are made from 100% natural ingredients and are loaded with skin softening cocoa butter for an indulgent pampering bathtime experience. Best of all though, they smell just like white chocolate so you can get a guilt-free hit of chocolatey goodness and baby soft skin at the same time. Genius! One truffle is all you need to use per bath making them an affordable way to pamper yourself at home. 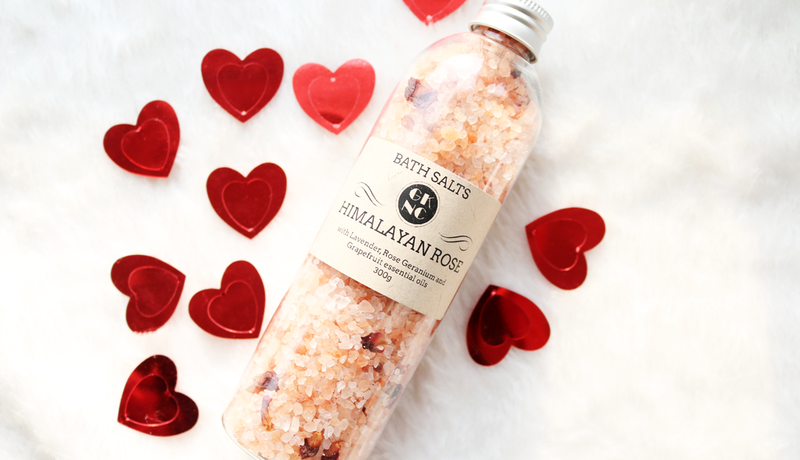 If you want to avoid gifting a cliched bouquet of roses, but still want something that includes this romantic flower, why not try these bath salts from GK Natural Creations instead. You'll find dried Rose petals mixed with Pink Himalayan Salt crystals which are infused with essential oils of Lavender, Rose Geranium and Grapefruit for a relaxing, spa-like bath. I've been really enjoying using these to help me unwind after a long stressful day and they smell beautiful. Last month I raved about how much I'd been loving the single note perfumes from Balm Balm in Ylang Ylang and Mandarin, and on the recommendation of the lovely Sandra from Beauty Balm, I decided to pick up another one in Petitgrain. All of these single note fragrances are just that - a pure and simple perfume that features just one high quality organic essential oil, and you can then layer them with others in the range to create your own individual fragrance or wear them alone and enjoy the natural simplicity of a single note. Petitgrain is an uplifting and relaxing woody fragrance with a hint of citrus. Very versatile and great for everyday. Solid soap bars are having something of a comeback moment as more and more consumers demand less wasteful and unnecessary packaging from the products that they buy. I've always been a fan of good old-fashioned soap, especially for using to wash my hands with as I feel it sort of defeats the object of cleanliness if your dirty hands are fiddling around with a plastic container that has a pump that decides to stop working after three uses. No thanks, just give me a bar of soap instead and I'll be happy! 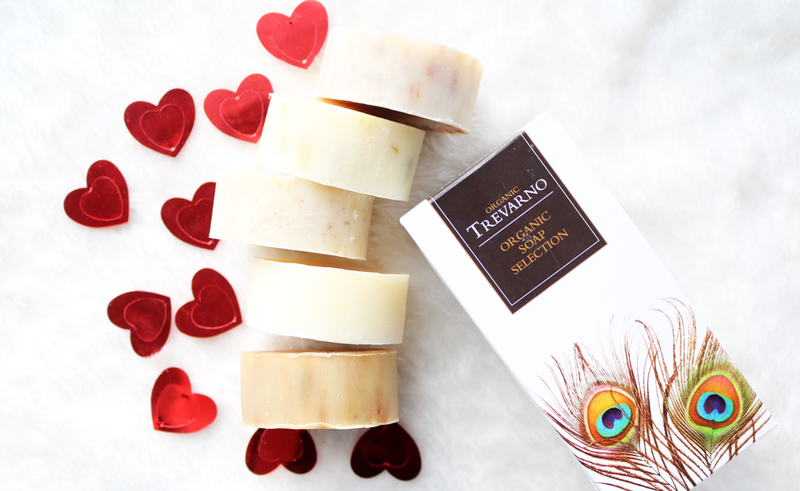 Introduce someone to the eco-friendly world of soap with this organic handmade collection from Trevarno. Inside, they'll find five SLS-free soaps (Propolis, Lavender & Geranium, Rose & Jojoba, Calendula, and Chamomile), which have all been made with pure and natural ingredients. 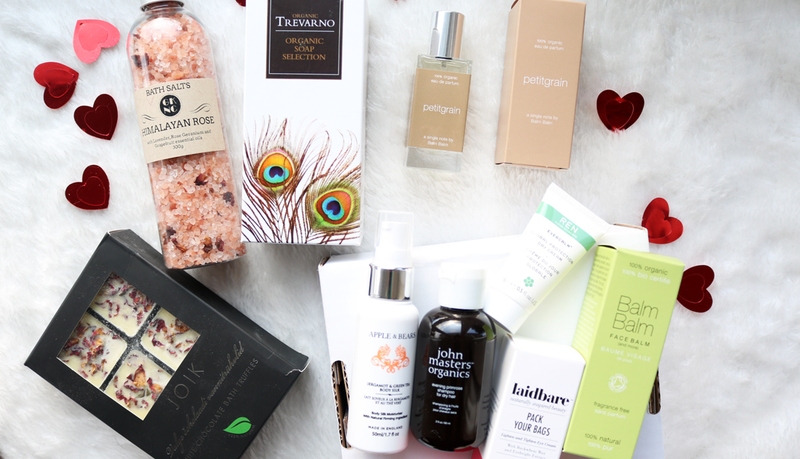 For the gift that keeps on giving, how about a LoveLula beauty box subscription? Each month, your recipient will receive a box packed full of organic and natural beauty products from a vast range of brands that LoveLula stocks on their website. Pictured above are the contents of last month's January beauty box which contained Balm Balm Face Balm (full size), Laidbare Pack Your Bags Eye Cream (full size), REN EverCalm Day Cream (15ml travel size), John Masters Organics Evening Primrose Shampoo (60ml travel size), and Apple & Bears Body Silk (50ml travel size). 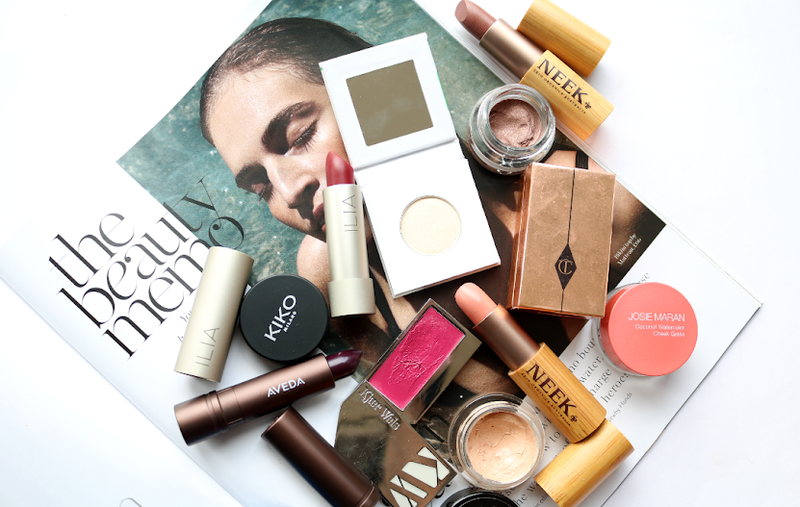 The overall value of the box was £37 making it a great value for money option for green beauty fans looking to try out some new products. 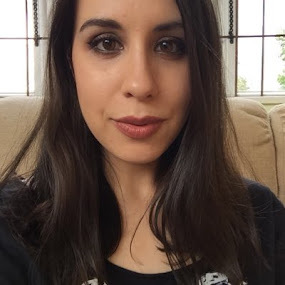 *All of the gifts above are available from LoveLula.com and have been personally chosen by myself as part of the LoveLula Blogger Program. Check out Part One of my Valentine's Day Gift Guide here.